Redeem your FREE food & drinks this Ramadan! Ramadan is a time of caring and sharing for your family. You are an important part of our family, and we hope you will accept a small token of our appreciation by redeeming coupons for *free food and drinks at 30 selected Ramadan Bazaars nationwide. 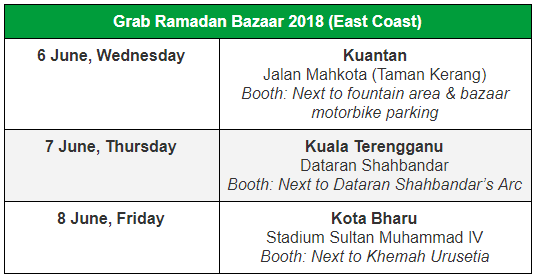 Head over to the bazaars listed below and buka puasa with Grab! 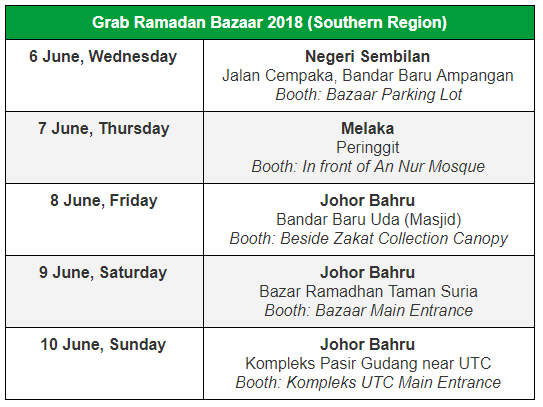 Head over to the selected bazaars and look for the Grab voucher booth (there will be Grab banners around the booth). Flash your Grab Driver app for verification purpose. Get coupons from the booth. 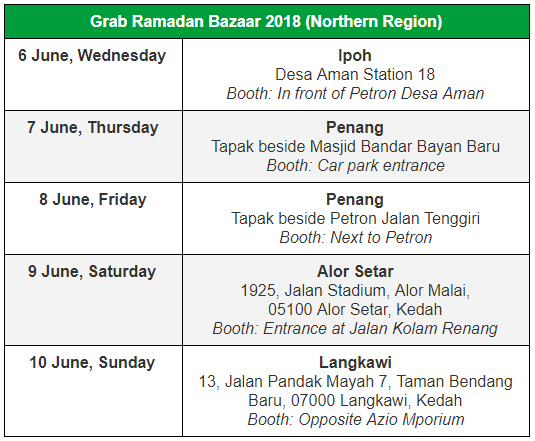 Keep an eye out for Grab signage at selected food stalls and start redeeming! ** Grab Voucher Booth will operate from 4 – 7pm daily during the campaign. 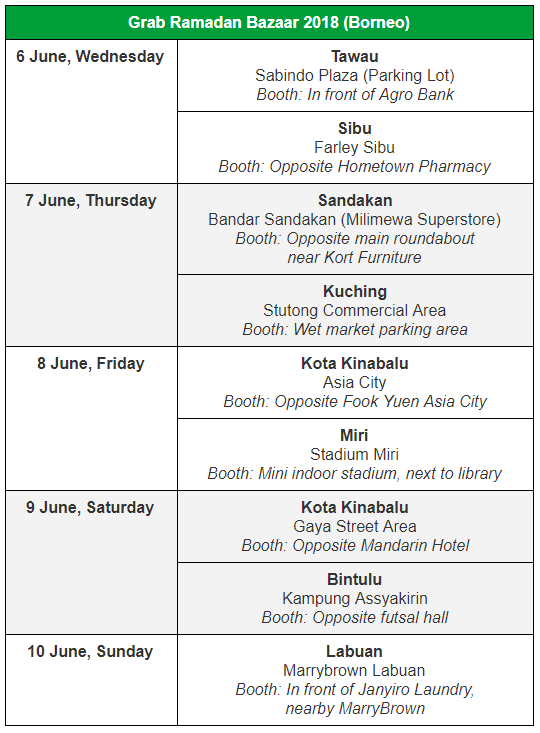 ** Grab Voucher Booth will operate from 3 – 6pm daily during the campaign.